The capital has an excellent range of large venues to hire that are ideal for most large events, including; exhibitions, awards dinners, large-scale team building, high impact conferences and parties. If you’re looking for options with plenty of space, we have a wide range of 500, 1000 and 2000+ capacity venues in London that will afford you the perfect hire space to meet all your corporate event needs. 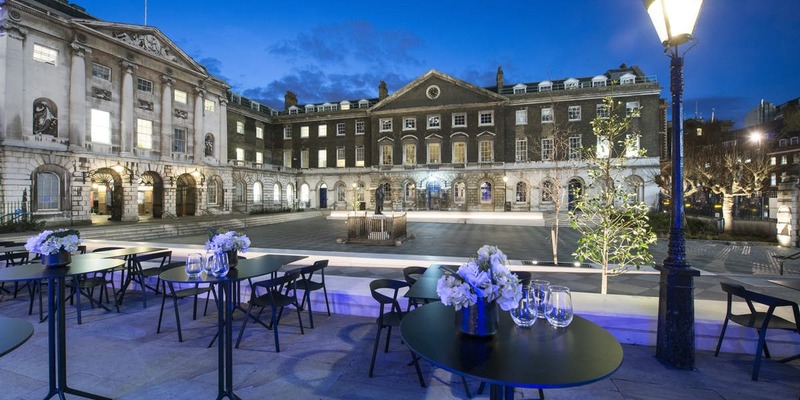 We offer a completely free venue finding service for to help you find the best London venues or hire space for major conferences, parties or activations. With over 1400 London event spaces listed, we have a fantastic team with unrivalled knowledge of all the best event venues the city can offer! SAVE TIME – With great venue knowledge, we will create a fantastic proposal of the best large venues without you spending hours on the Internet or telephone. SAVE MONEY - Not only is our service free, but due to our great venue relationships we can also negotiate some great prices and packages for the top, large scale venues available for hire in the capital. When looking for large conference venues, London has many dedicated options with tiered seating including the QE2 Conference Centre and the Barbican. The benefit of these venues is that they have all the required sound and AV fully installed and ready to go, which reduces your installation time and costs. However, if you are looking for inspirational large event and party venues, London also offers a number of amazing blank canvas venues where you can hire space including Old Billingsgate and The Roundhouse, both of which offer excellent disabled access. These large event venues have high ceilings and pillar-free space, making them perfect hire space for big events, high impact parties and awards dinners. For large event venues that offer more formal dining, there are several large hotels with accommodation in the heart of London that have stunning large banqueting halls that can cater for over 500 guests, with the Great Room at the Grosvenor top of many people’s list. When you’re ready to book the best large venues, always make sure that you are confident of filling the room to at least 60% of its capacity for seated or standing events, since it is a real challenge to create a great atmosphere when these large venues are only half full (and therefore half empty!). You will then have plenty of space and spare capacity if your registration or invitation response rates exceed expectations. Finally, make sure that you have all the costs fully budgeted, since mistakes and omissions with larger event venues in Central London can result in huge cost over-runs. For help creating the right ambience and impact at any of your large scale conference, team building, or other corporate events, you’ll find London has an excellent array of production, delegate management, and design agencies who can help you deliver the desired feel and messaging. However, we recommend you always use companies that have prior experience of working with large event venues in London, to reduce the chances of any errors that could impact on your corporate event.